The Kardia Band can detect irregular heart beats and send results straight to the doctor. A group of former Googlers are looking to turn the Apple Watch into an FDA-approved medical device for people with heart conditions. AliveCor’s Kardia Band is an Apple Watch wrist strap with an ECG sensor attached. Tapping on the sensor triggers a reading, and allows users to dictate symptoms and other relevant information. The results then go straight to a doctor over email, Re/code reports. The sensor is meant to detect arterial fibrillations, a type of arrhythmia that can increase the risk of stroke and cause chest pains or heart failure. 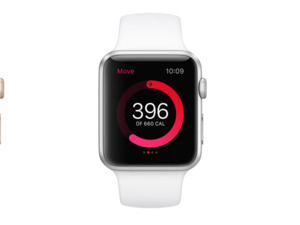 Although the Apple Watch includes its own heart rate monitor, and it has performed well in various third-party tests, it’s still not as accurate as an ECG. 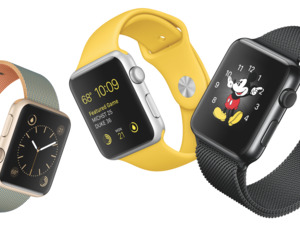 Apple also doesn’t advertise the Watch as a medical device for people with heart conditions. By comparison, AliveCor is now seeking medical device clearance from the U.S. Food and Drug Administration for the Kardia Band, according to Re/code. The FDA has approved the ECG analysis algorithms that AliveCor uses in its companion app—the company already sells a $99 iPhone case with ECG sensors on the back—and now just has to approve the band itself. AliveCor is helmed by Vic Gundotra, the former senior vice president at Google who spearheaded the search giant’s social networking efforts until 2014. Former Googlers Simon Prakash and Frank Petterson are in charge of AliveCor’s products and engineering, respectively. For now, there’s no word on how much the Kardia Band will cost or when it will become available. 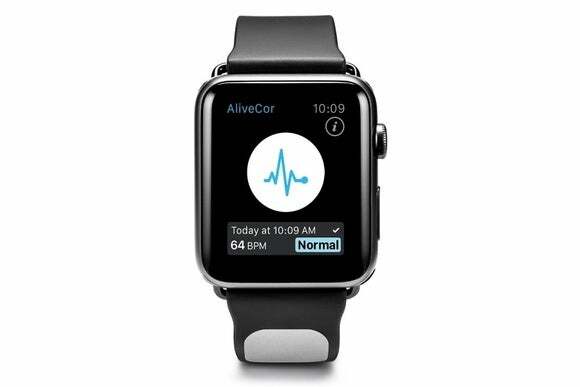 Why this matters: AliveCor demonstrates how the Apple Watch, while not a medical device in itself, can discretely add those functions for people who need them. Someone who doesn’t want to carry around a dedicated ECG device might be more willing to put on an Apple Watch with that same sensor attached. If smartwatches are solutions in search of a problem, as pundits sometimes allege, this could very well be one worth solving.